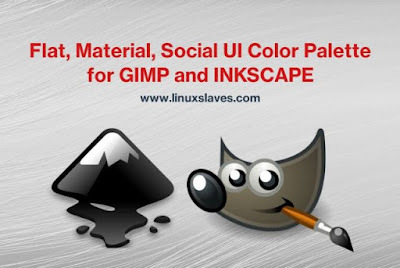 Flat, Social and Material Design Colors Palette for Gimp and Inkscape - There is no doubt that one of the most important design elements are color. Choosing the right colors can help enhance a design. It's something that might seem easy, but the wrong color choice might be the real disaster. There are infinite number of combinations, it might be really frustrating process to decide on a color palette that perfectly suits your requirements. Remember! Creating a color scheme is essential to good design. There are so many new and reinvented trends across the world of design. What is flat design? Generally, the Flat design is a type of design that’s been stripped of any three-dimensional elements. It removes any stylistic tastes that try to imitate the real-world equivalent of those elements. It is a minimalist UI design genre, commonly used in graphical user interfaces such as web applications and mobile apps. Especially in graphical materials as posters, arts, guide documents, publishing products. Material Design is a design language developed by Google. 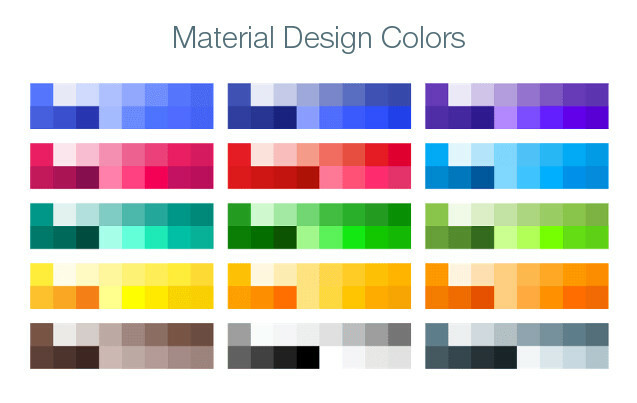 Announced Material Design on June 25, 2014, at the 2014 Google I/O conference. Material Design makes more liberal use of grid-based layouts, responsive animations and transitions, padding, and depth effects such as lighting and shadows. Most of Google's mobile applications for Android have applied the new design language, including Gmail, YouTube, Google Drive, Google Docs, Sheets and Slides, Google Maps, and all of the Google Play-branded applications. Colors in material design are inspired by bold hues juxtaposed with muted environments, deep shadows, and bright highlights. First of all, copy the following color code and paste to your favorite text editor. Then save it with .gpl extension. Or simply download the package from the last line of this post then you just need to extract the downloaded .tar.gz archive. 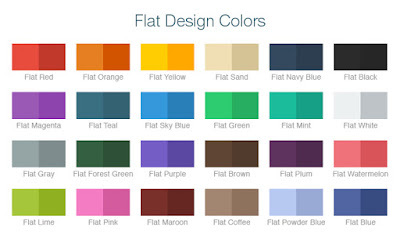 A palette is a set of discrete colors, in no particular order. Palettes are very useful if you want to have a consistent color scheme. 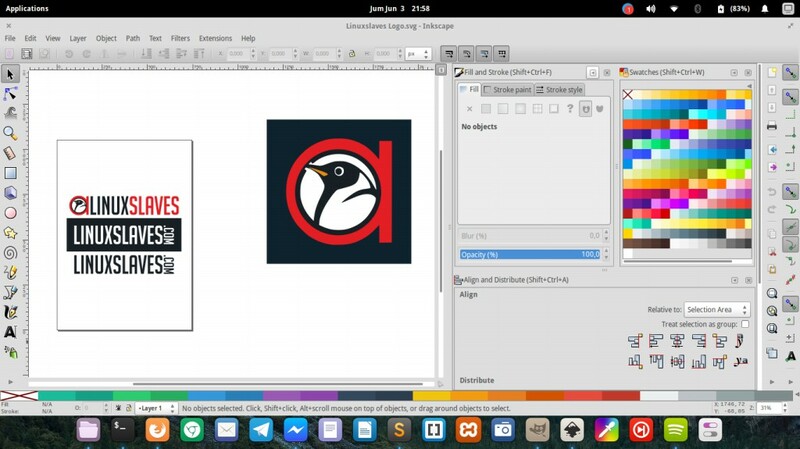 Then how can I add GIMP and Inkscape material and flat colors palette? Hope this tutorial will cover that you need to set up a Color Palette quickly and easily for your image editing project. 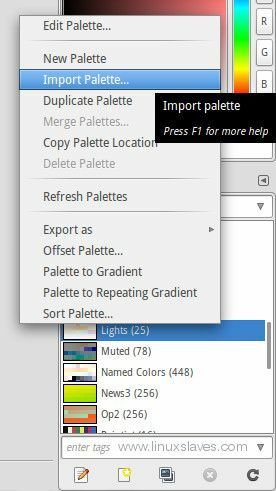 Step 3 - It will open "Import a New Palette" window. 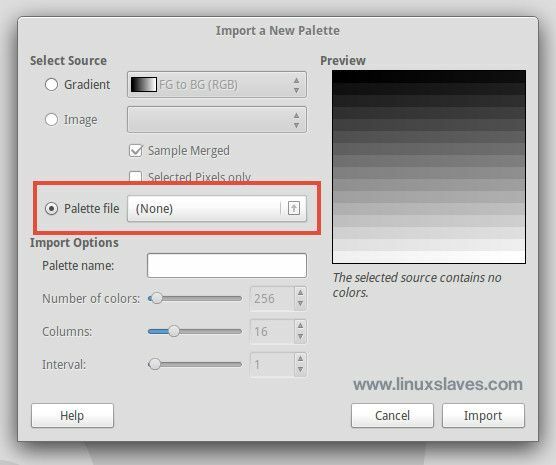 Choose palette file then locate to .gpl file. Step 4 - Now just hit the Import button. Note: Change [path] with a location of the file where you saved it. So it's all I can write about how to add flat and material design colors palette into Gimp and Inkscape. Hope this post helpful for you. Thanks for visiting Linuxslaves!